Carrying all of those bags of cash to recruits messed up his back I guess. Get well soon. Good luck Blazers! Yikes, WKU sells out games? UAB is in a dark place, indeed. (02-14-2019 12:09 PM)GoBlazers468 Wrote: Yikes, WKU sells out games? UAB is in a dark place, indeed. Kentucky is a special situation for basketball. I recall a B'ham NEWS article finding it remarkable when that state's "Mr Football" announced he was giving up his senior year of football to concentrate on his basketball team. Can anyone who has grown up in Alabama grasp such a choice being made here? UAB is just in a different sports culture than WKU. Was it only a difference in "moral high ground" that led to WKU hiring the veteran Stansbury while UAB hired Eshan? Stansbury, Pearl, and Calapari. Three biggest Scumbags in basketball these days. 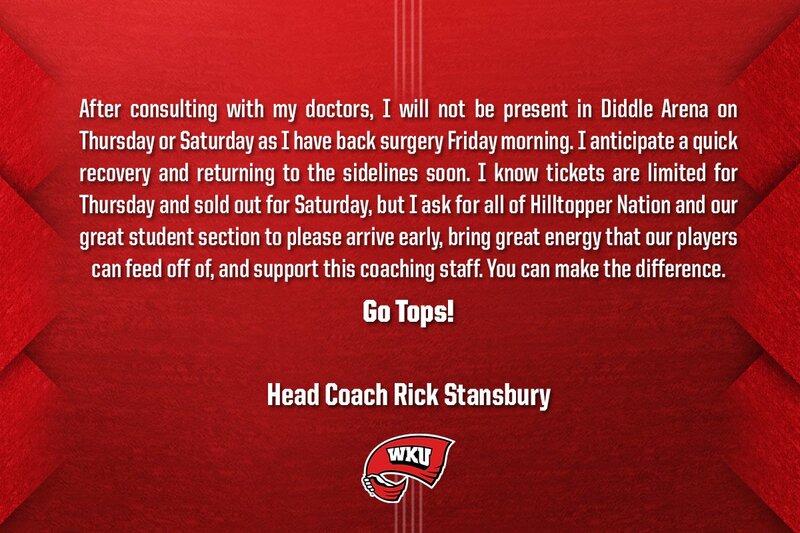 Stansbury will tell you he picked WKU over UAB til he’s blue in the face. He told their Beatwriter he had an offer and did so, anyways. Only people pushing Stansbury around here were local sports media who don't have any ethics standards to begin with. Anyone have a link? Can't find it on FB for some reason. Playing UAB's pace. Keep nailing shots Blazers. Bassey is a load inside. We’ve been bringing the fight all game long. Really been impressive. Just make our free throws. A well played and coached game. Fun to watch. Glad they didn't decide to throw the light sabers.